Diamonds are a girsl best friend! 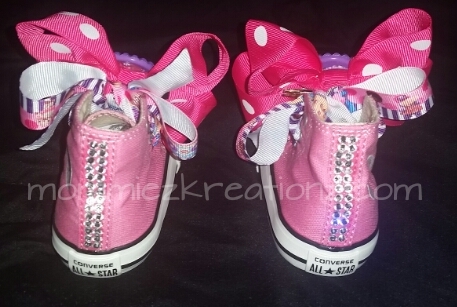 Treat you little one to some exclusive diamond custom converse. Reg. 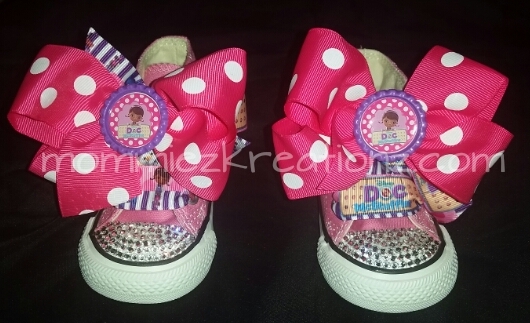 Low tops available as well! Lace design & color can be changed also. All Crystals are hand placed one by one! Please contact us if you need a bigger size. All shoes are NEW & will be sent in original box along with shoelaces. All of the rhinestones placed on our items are glued by hand are secured well but cannot guarantee that any of the rhinestones will not come off. We Recommend that our items be used by adult supervision at all times & if you see your child picking at or chewing the rhinestones please discontinue use. Buyer is fully aware & liable for an incidents that may occur while in use. !